From Inner to Outer: Digression: Books I'm Profiling—J.B. 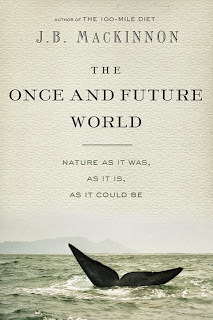 MacKinnon's "The Once and Future World: Nature As It Was, As It Is, As It Could Be"
Digression: Books I'm Profiling—J.B. 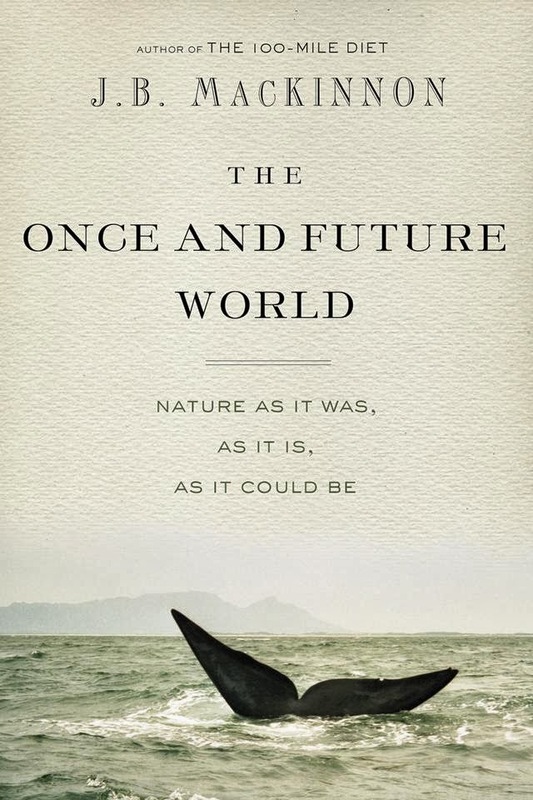 MacKinnon's "The Once and Future World: Nature As It Was, As It Is, As It Could Be"
There's lots to admire in The Once and Future World, not least of which is J.B. MacKinnon's apparent ability and willingness to maintain optimism in the face of so much terrible news—scarcity! extirpation! extinction! deprivation! loss! incipient catastrophe! etc—relayed through his book's extensive research. Instead of the understandable negativity and despair that could come with comprehending how much environmental bad news our species is responsibly for, though, he proposes ideas that could redirect our trajectory (and that of the natural world) so that the whole planet doesn't end up looking like a dry wasteland on the verge of total collapse (cue the desert shantytowns of any Neill Blomkamp film). Sobering yet hopeful, the book deserves all the attention it receives. My profile of James and his book appeared in variety of Canadian periodicals.